If you've been following my YouTube channel you may know that I've been on the hunt for the best cushion foundation for my skin, which resulted in a series of Cushion Foundation demos & reviews where I tested them throughout the day as well as analysed the packaging and price. 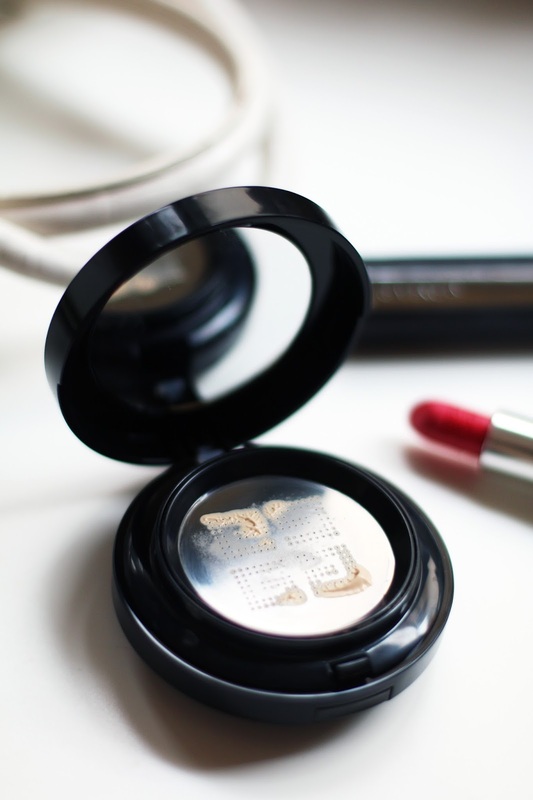 I guess cushion foundations require no explaining as they have been all the hype over the past few years. 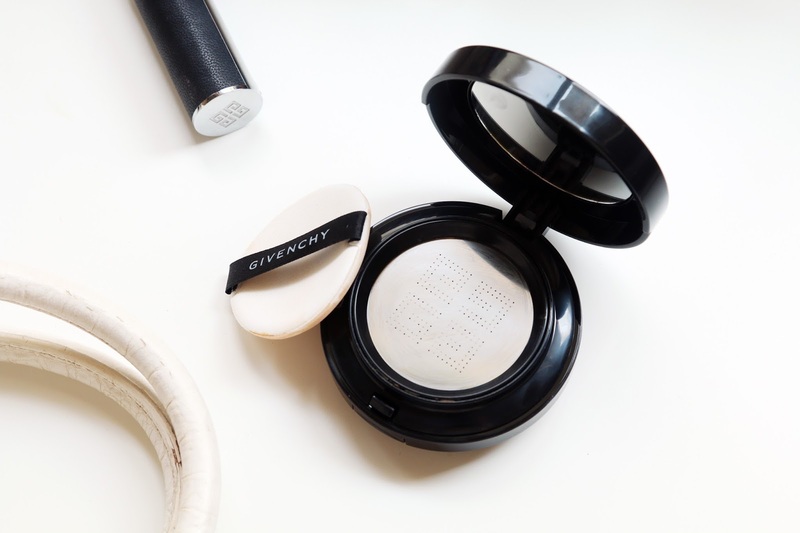 I believe they originated from Korea and gradually we are seeing more and more European and US brands offering their version of cushion foundations. What's not to love? 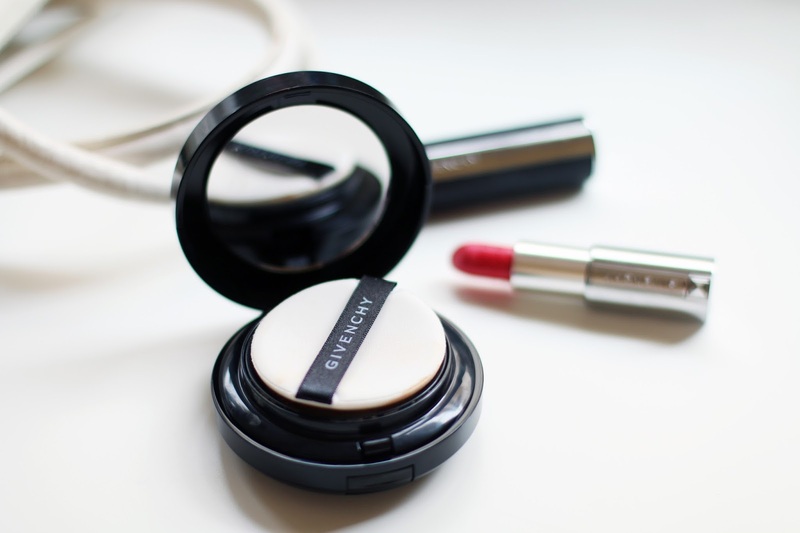 They are compact and convenient, great for using at home or touching up on-the-go. 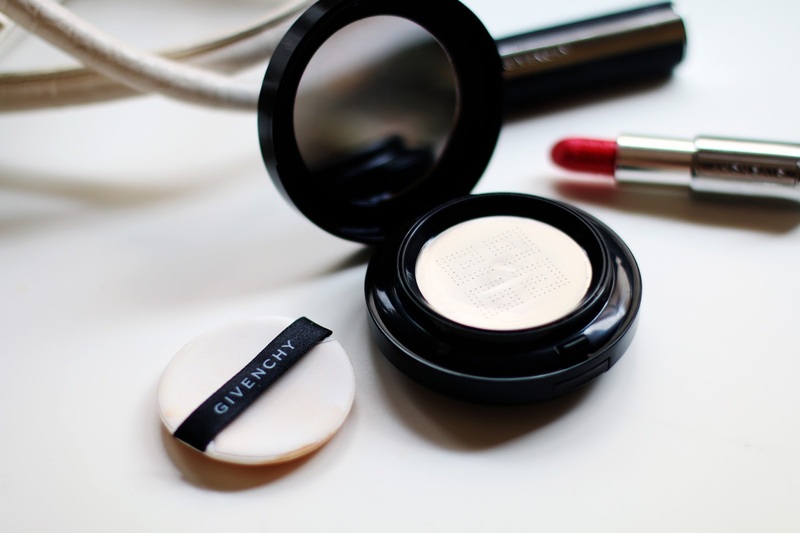 The Givenchy Teint Couture is US$50 for one compact (no refill) and a sponge. I was pretty surprised that I didn't even get a leaflet (the ones you get with most luxury brands that tell you what's in it, how to use it, what's good about it and so on). Instead there are illustrations printed inside the box to show you how to use it. 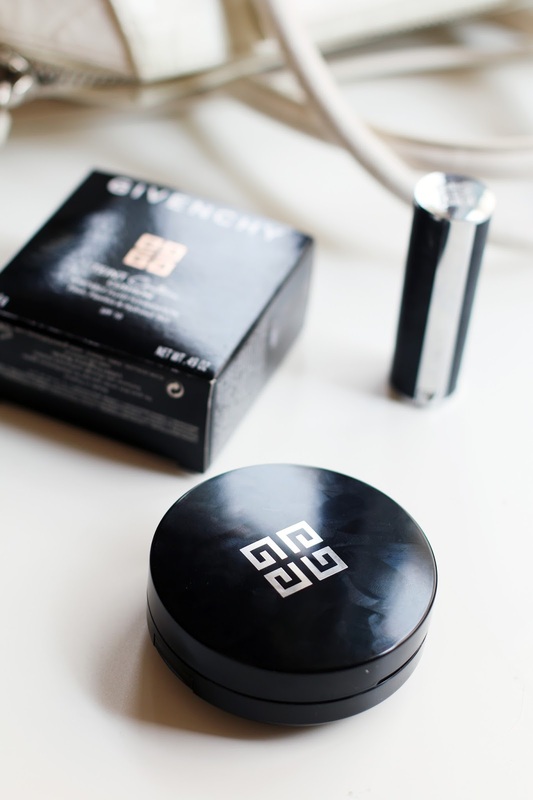 The exterior is a plain black case with the Givenchy logo and in my opinion, does look pretty chic and covetable. Prior to purchasing this, I hadn't read about it nor did I see it in person so I did not know what to expect, thinking it was like any regular cushion. 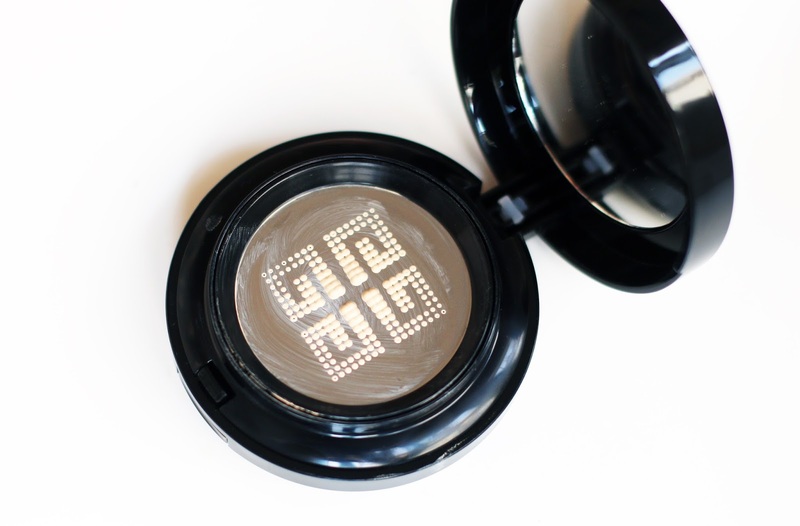 This is one of the first cushion foundations I've seen that does not actually contain a cushion sponge inside. Instead it uses a metal plate to separate the foundation, thus allowing the foundation or the product to maintain its freshness and won't go off as easily. I personally love this design, not just for its aesthetic but I somehow find this more hygienic than other traditional cushions. All you have to do is gently use the sponge and press against the metal plate, and a sufficient amount will be dispensed into the sponge. Do note that the first few times you push, there would be no product, so be patient otherwise you may end up like me where I was constantly pushing and lo and behold, what seems like a stream of product comes gushing out from the compact. But apart from that tiny mishap, it was all good. It seems as though a lot of thought had been put into the design and that's one thing I like. The application sponge is pretty standard - soft, but nothing particularly special. 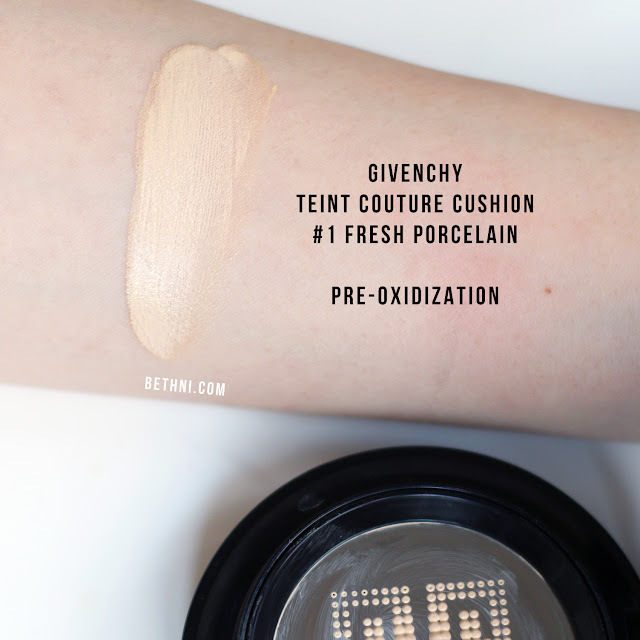 Here is the Givenchy Teint Couture Cushion in #1 Fresh Porcelain - before and after oxidization. I purchased Shade #1 Fresh Porcelain which, upon application, was just right for my skin tone. However within seconds it had oxidized, although nothing too drastic from my natural skin tone, it was more apparent when I tried to build up the coverage. However throughout the day it didn't oxidize anymore, but do be careful when selecting your shade. Due to the metal plate I presume, as the product touched my skin it had a cooling and refreshing effect, which is one big bonus for me, especially in the forthcoming Hong Kong summer. 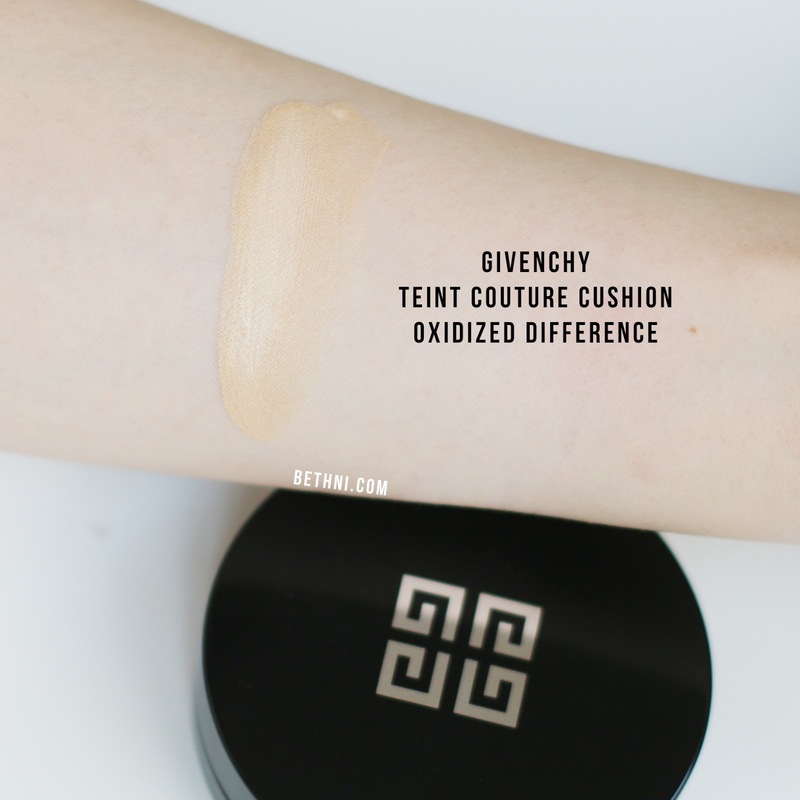 I would say the coverage is medium, not as low as the Dior Bloom Cushion yet not as high as the YSL Le Cushion Encre de Peau or Shu Uemura TokyoSmart Cushion. It's a pretty acceptable coverage level especially for its lightweight texture that felt great on my skin. You can imagine, by now I was fairly impressed and was pretty sure this would be the cushion foundation for summer. 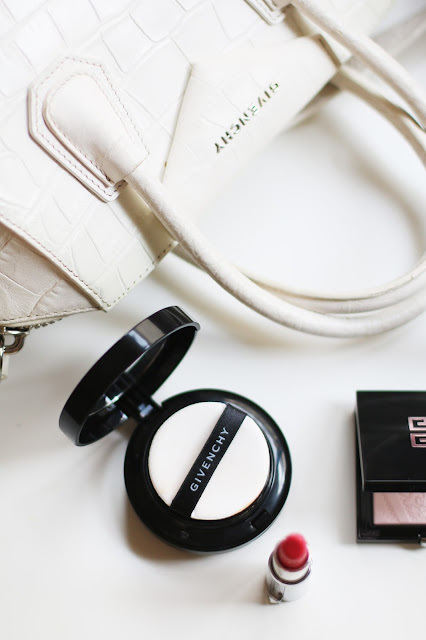 There was a nice, naturally radiant glow on the high points on my face, yet the rest of my face stayed semi-matte and once set, felt almost like second-skin. Not too heavy or cakey - it was just right and I didn't even feel the urge to powder at first (though it was 29 degrees celsius outside with 79% humidity). 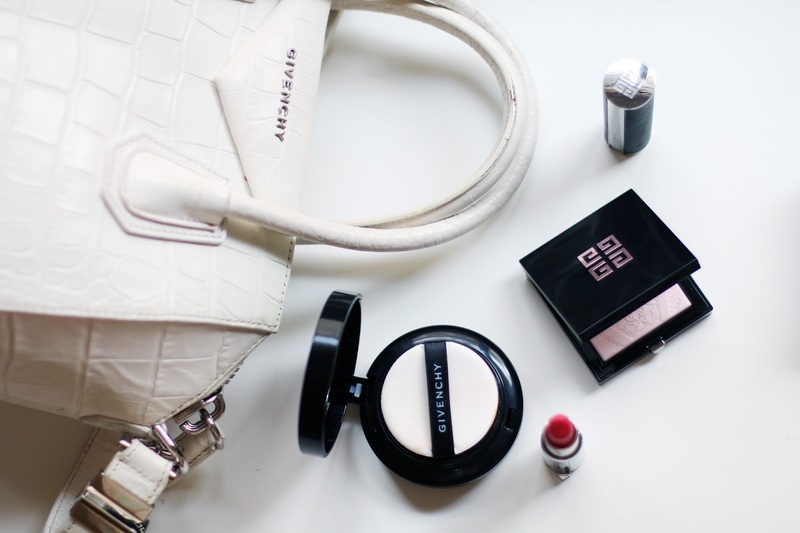 I would say this foundation lasts well for about 7 hours (which is pretty long!). At the 7 hour point, it didn't feel too greasy either, but started to cake and separate a little. By 10 hours it was pretty patchy and dry, and although I tried touching up at the 7 hour point, it didn't help much. However, overall it still looked great compared to the other cushions I've tried and it's a foundation that I'm keen to use again even in the summer months. I do apologize that this blog post was a bit more lengthy than usual! If you'd like to see my video where I demonstrated applying it and how it lasted throughout 10 hours, click here! Not sponsored. 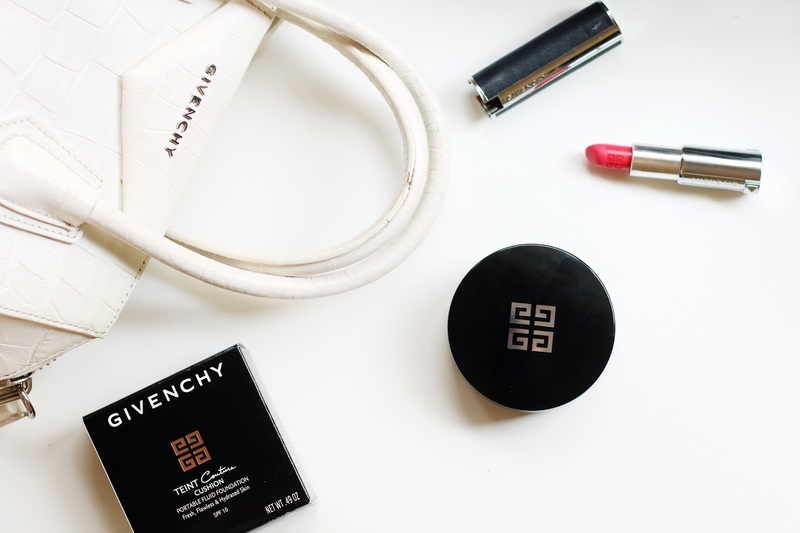 I purchased the Givenchy Cushion Foundation with my own money.